In school and clinics, Yemen's smallest residents are being vaccinated against measles. This is one disease which can be prevented, despite the war, poverty and famine. It's part of a campaign by several international aid agencies. "All of the fathers, mothers and guardians of children – this is a safeguard for them. They should all come to a measles prevention centre." According to Yemen's health ministry in Houthi-held Sanaa and aid groups, there were 15,000 cases of measles last year. 260 children died from the virus. Yemen had previous measles outbreaks even before the conflict. After being declared almost measles-free, there was an outbreak of 3,600 cases in 2012. Largely eradicated in other parts of the world due to vaccination campaigns, measles, or rubeola, is a respiratory virus that can be fatal for children. UNICEF Resident Representative in Yemen Meritxell Relano, says that due to Yemen's ongoing war between the Saudi-led coalition and the Houthi rebels, millions of children are at risk of measles and other diseases. 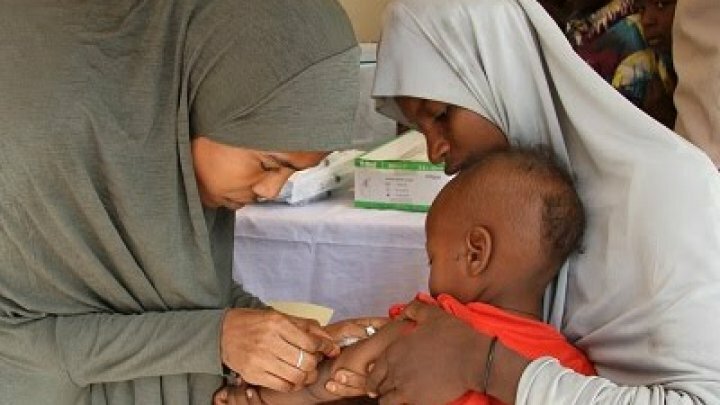 "More than 40,000 health workers are involved in implementing this campaign to ensure that all children get vaccinated, in a school, in health facilities and through mobile tents. Children in Yemen remain at the risk of measles due to the conflict, the interruption of the routine immunisation services and the collapse of the health system," she says. She adds that the campaign aims to vaccinate more than 13 million children between the ages of six months and 15 years of age. Yemen's civil war, pitting the coalition against the Houthis, has been raging since March 2015, when the coalition first made a bid to take back the rebel-held capital Sanaa. The coalition backs Yemen's internationally recognised government of Abed Rabbo Mansour Hadi and aims to restore it to power. The UN says the conflict has become the world's worst humanitarian crisis, with more than 22 million people in desperate need in what is already the Arab world's poorest country.